Katharine of Aragon is a proud Spanish beauty who became Queen of England. From the moment of Katharine's betrothal to Arthur, Prince of Wales, she looked upon herself as the future Queen of England. But, Arthur died just after their marriage and it was as the wife of his brother, Henry VIII, that she went to her Coronation. 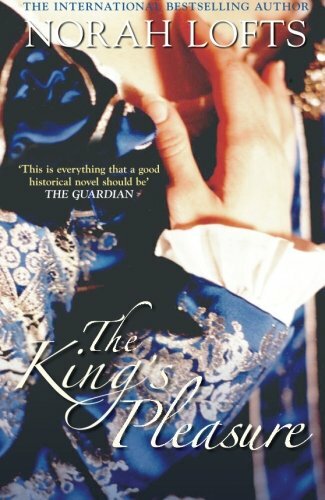 This delightful, richly tapestried novel tells of her life with Henry - the many happy years; the birth of their daughter, Mary Tudor; her popularity with the people and, above all, her constant and unswerving love for the King. But after nearly twenty years, Henry - his eyes affixed firmly on the ambitious young Anne Boleyn - repudiated their marriage, submitted Katharine to the humiliations of a 'trial' and banished her from him life. 'The King's Pleasure' is a brilliant recreation of one of history's greatest tragedies. This is a story which will impress Katharine in the reader's mind as a noble woman and great Queen.